I wish I’d taken a picture of it, but last year I found a perfect natural occurrence of air layering. A morning glory was growing thickly up a brick wall around some water piping. In the dark under the leaves on a leak from the pipe the morning glory had a mass of white roots just hanging in the air many feet above the ground. I could have easily snipped that root mass and some of the stem above it off and had a new morning glory plant. I didn’t really want another of those though, so I’m recreating this situation for something more desirable: figs. 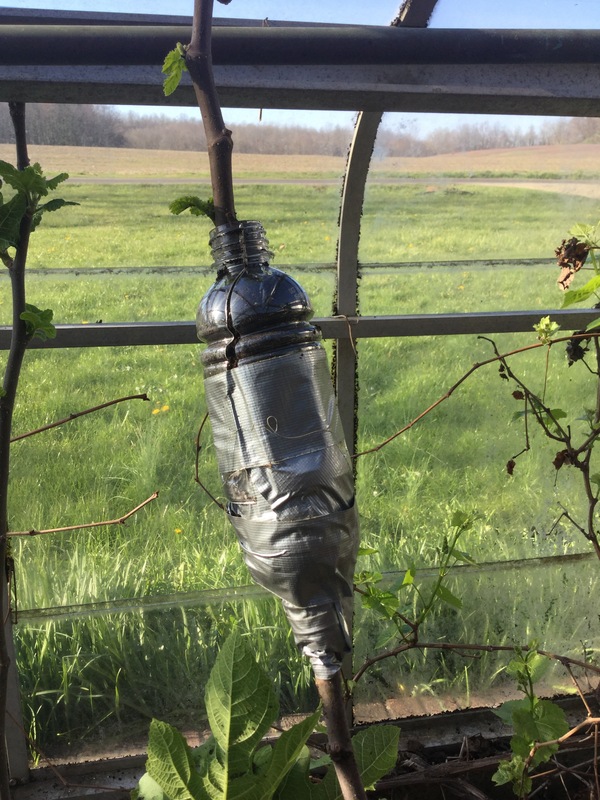 All I have to do is provide darkness (causing etiolation -essentially a transformation of upper plant hormones to lower plant hormones such as those found in the roots) and water. The addition of soil for the roots to grow into will make for a smooth transition from tree to ground. I begin by cutting off a section of the bark because the roots come through the bark from underneath. 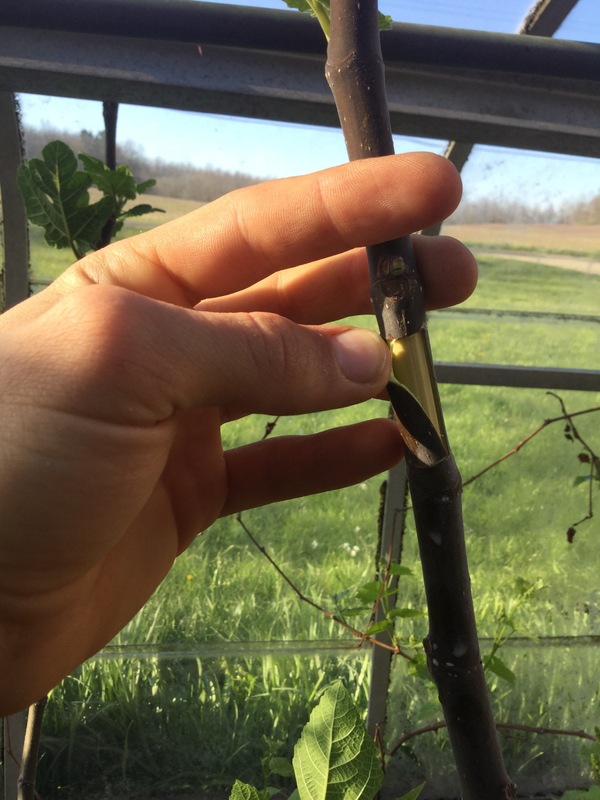 If you do much rooting you may have noticed some plants root along the stem through the bark but some will put roots out the bottom of the stem where it was cut. These originated under the bark but crept down and out because the bark was too hard. In figs this is seldom the case, but it helps speed up the process anyway. 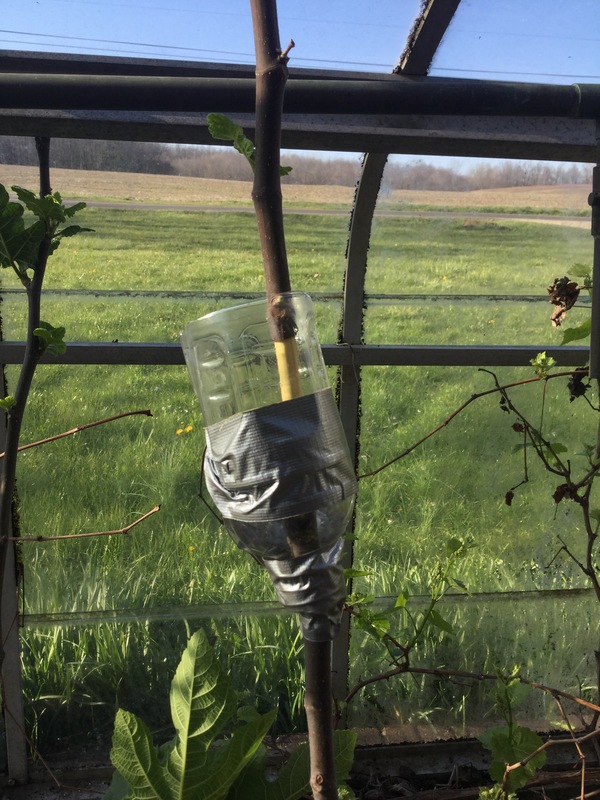 From here, you can put any moist medium that blocks light around the branch to induce rooting. 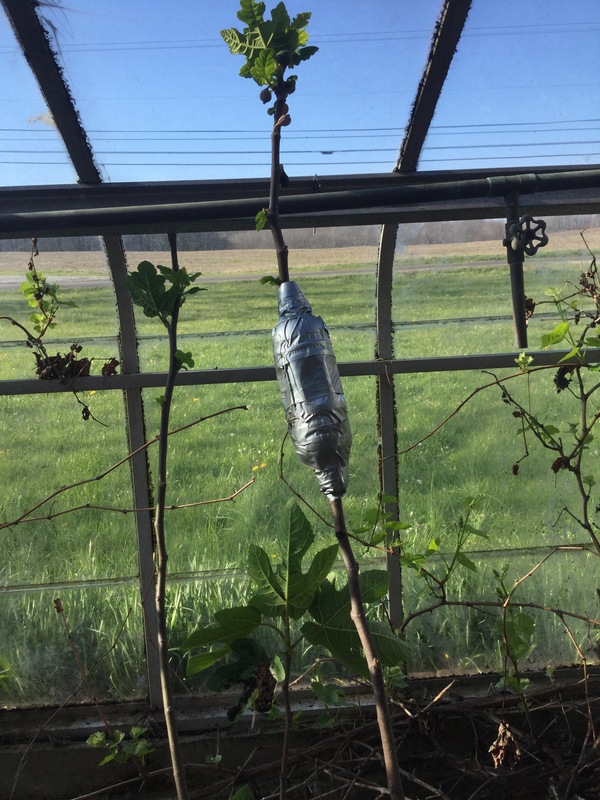 In my case I take plastic bottles, which work well for holding soil, cut the bottoms off, slice down the side, wrap around the branch, fill with soil, and wrap with some tape as you can see pictured below. Once all that’s done I water and leave it. I’ll let you know what results I get. 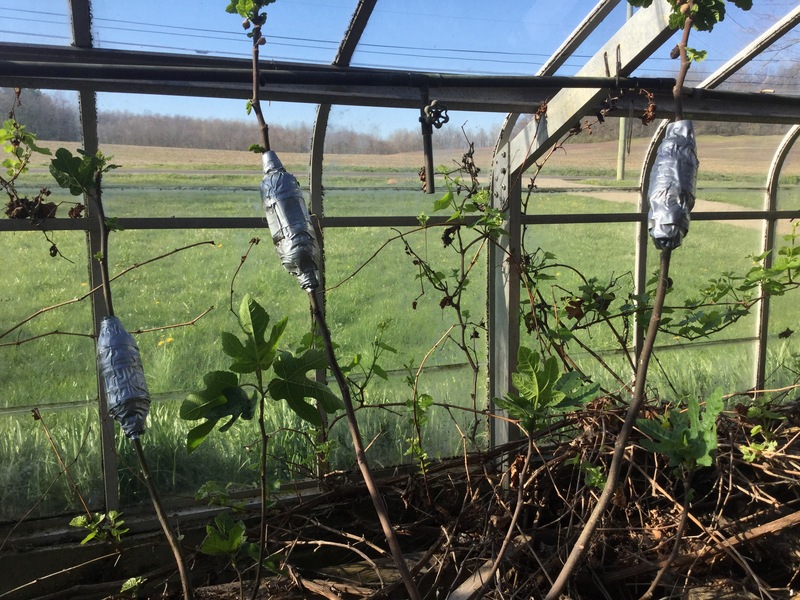 I will give about two months for rooting before I cut the branch off and pot them up as new trees.